Andrew L. Holewa of Otsego, Michigan, died Friday, February 23, 2007 in Kalamazoo. Andrew was born March 6, 1974 in Kalamazoo, MI to Ralph and Jane (Kohlhoff) Holewa. Surviving are his wife Lorie (Farmer) Holewa, 2 daughters, Melissa and Amy; his parents, Ralph and Jane of Clinton Twp. ; brothers, Michael S. (Jane) Holewa of Charlotte, Michael T. (Danielle) of Marcellus, and a sister Cheryl Campbell of Kalamazoo; several aunts, uncles, cousins, nieces and nephews. Friends may meet the family on Monday from 2 to 4 and 6 to 8 p.m. at the Winkel Funeral Home, Otsego, where services will be held 11:00 A.M. Wednesday, Pastor Jason Thiel officiating. Burial will follow at Mountain Home Cemetery. Contributions in memory of Andrew may be made to the Salvation Army Rehabilitation Center. 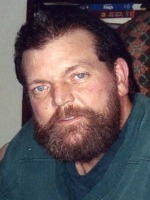 Dillard Langford of Plainwell, Michigan, died Sunday, February 18, 2007 in Kalamazoo. Mr. Langford was born March 20, 1927 in Brodhead, Kentucky to Emmit and Schrilda (Stokes) Langford. During WWII he served his country in the United States Navy. He was a life member of V.F.W. Post #3030, where he served on the color guard. For 30 years he was employed at the Plainwell Paper Mill. Dillard loved gardening, wood working, his horses and his dogs. On May 25, 1951 in Otsego he married Joyce Flickinger, who survives. Also surviving are five daughters, Theresa (Tim) Campbell of Kendallville, IN, Brenda Langford and Laura (Les)Hahn, both of Plainwell, Elaine (Craig) Thomas of Otsego and Vickie (Daniel J.) Schneider of Morley; 18 grandchildren; 22 great-grandchildren; three brothers, Louis (Christine) Langford of Lynchburg, OH, Robert (Pearly May) Langford of Reading, OH and Mac (Bev) Langford of Sharonville; a sister, Ethel Brock of Plainwell; many nieces and nephews. He was preceded in death by 5 brothers, Delbert, Elzie, James, Clifford and his twin brother, Lillard; and a sister, Atha. Friends may meet the family from 2 to 4 and 6 to 8 P.M. Thursday at the Winkel Funeral Home, Otsego, where services will be held at 10:30 A.M. Friday, Pastor Tony Shumaker officiating. Burial will follow at East Cooper Cemetery with military honors conducted by V.F.W. Post #3030. Contributions in memory of Dillard may be made to the American Lung Association. 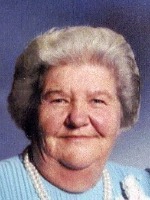 Irene Mae Weeks of Allegan, Michigan, died Friday, February 16, 2007 in Holland. Mrs. Weeks was born June 18, 1920 in Boyne City, MI to Philip and Mary (Wheaton) Vickery. On February 28, 1938 in Otsego she married Frank D. Weeks who died in 2003. Also preceding her in death were a son, Phillip Weeks; 3 brothers, Clifford, Bill and Harry; and 2 sisters, Juanita and Esther. Surviving are 10 children, Lloydeen LaHuis of Dorr, James Egan of Three Rivers, Ronald Weeks of Bradford, TN, Diane Hitchcock of Allegan, Richard Weeks of Holland, Roger Weeks and Mary Harris both of Allegan, Betty Deur, Ruth Gordon and Jim Weeks all of Hamilton; 36 grandchildren; 32 great-grandchildren; 9 great-great-grandchildren; many nieces and nephews. Friends met the family from 2 to 5 P.M. Saturday at the Winkel Funeral Home, Otsego, where funeral services will be held at 1:00 P.M. Monday, Pastor Jeff Gilbert officiating. Burial will follow at Mountain Home Cemetery, Otsego. Contributions in memory of Irene may be made to Hospice of Holland, Hospice House. Winkel Funeral Home, Otsego, where services will be held Tuesday at 1:00 P.M., Dr. Harvey K. Procknau officiating. Burial will follow at Hillside Cemetery, Plainwell. Contributions in memory of Louise may be made to the American Red Cross or the American Heart Association of Michigan. 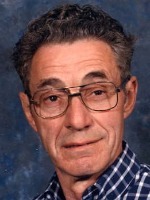 Buel K. Arms, Jr. of Martin, Michigan, died Thursday, February 15, 2007 at his home, surrounded by his family. 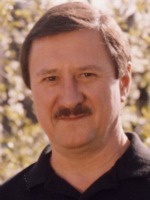 Buel was born November 11, 1956 in Paintsville, KY to Buel K. Sr. and Edna (Baldwin) Arms. For 23 years he was employed as a fork lift operator with General Motors. He was a member of the Fish Trap Baptist Church of Staffordsville, KY. Buel loved the out-of-doors and enjoyed hunting, fishing, gardening and attending his children’s sports events. He loved to read, was an excellent builder and built their home, was a good cook and liked John Deere tractors. He especially enjoyed babysitting his grandchildren. He was a loving husband, father, son, brother and grandfather. On June 5, 1976 in Watson he married Teresa M. Lukins, who survives. Also surviving are three children, Jacob K. (Michele) Arms of Hartford, Evan J. (Shelly Thomas) Arms of Martin and Katherine M. Arms (and her fiancé Ken Lapham) of Martin; three grandchildren, Wyatt, Travis and Bow; his parents, Buel Sr. and Edna Arms of Shelbyville; two sisters and two brothers, Sherry Picklesimer of Shelbyville, Jerry W. (Deborah) Arms and John M. (Bonnie) Arms, both of Wayland and Reneé Oldebeken of Shelbyville; several aunts, uncles, nieces and nephews. Friends may meet the family from 2 to 4 and 6 to 8 P.M. Sunday at the Winkel Funeral Home, Otsego, where a Scripture Service will be held at 7:30 P.M. Funeral services will be held at 10:00 A.M. Monday at St. Margaret’s Church, Otsego, Rev. Fr. Donald P. Klingler officiating. Burial will follow at Sacred Heart Cemetery, Watson. Contributions in memory of Buel may be made to Wings of Hope Hospice. It is with great sadness that we announce the death of our husband, father and grandfather, Roger Lee Bush. He died February 1, 2007 after an 8 year battle with the neurological disease, Progressive Supranuclear Palsy. Roger was born on July 31, 1942, to Martha Maynard of Battle Creek and Zoe Walters of Paw Paw. Martha died in childbirth and since Martha and Zoe were not married Roger was placed for adoption and adopted by Walter (deceased) and Maxine (Bush) Dumonceaux. Roger’s mother loved her son as her very own and cherished him for his entire life. Roger graduated from Comstock High School in 1960 and was a track star at the school. He married Francis TenBusschen in 1963, they divorced in 1966. Roger spent February of 1967 to February of 1968 in the infantry in Viet Nam. He was point man for his platoon for 11 months, a testimony to his fearlessness, tenacity and attention to detail. The average life span of a point man was from six days to six weeks. After returning from Viet Nam he married Henrietta “Ria” Klooster in 1969. The marriage was blessed with daughter Sandra (Cobine) and son Ryan Andrew. Ryan was born in 1975 and died in 1979 at the age of four. Ryan endured a short life of suffering and surgeries due to Pulmonary Atresia, a defect suspected to have been caused by his father’s long term exposure to the chemical Agent Orange during the Viet Nam war. In 1999 Roger contacted his second cousin, Jim Higgs. Jim’s grandmother was a sister of Roger’s mother Martha Maynard. Jim is the family historian and genealogist and provided Roger with a picture of his mother. It was the first time in almost sixty years that Roger saw his birth mother. The Higgs family welcomed Roger with open arms into their family. Roger worked at many places during his life and was a hard worker. He worked for the Shakespeare Company, the Gibson Guitar Company, the Kalamazoo Laundry and Root Spring Scraper. All things technical and philosophical fascinated Roger, he was a very intelligent man. Roger was a kind man who treated everyone with respect. He loved and was kind to children and believed that children should be heard as well as seen. He loved animals and treated them with kindness as well. Roger is survived by his mother Maxine; his wife Ria; his daughter Sandra, her husband Mike Cobine and his granddaughter Kylie Noelle Cobine. Also surviving are his step-sister Nan Morton (Dumonceaux) and her husband Dave, step-brother Mike Bush and step-sister Marsha (Bush) Swinford and their families. A very special lady in Roger’s life, step-mom Helen Bush, also survives. We will miss Roger. Cremation has taken place. 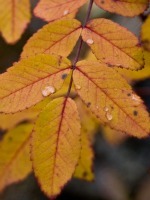 A memorial service will be held at Winkel Funeral Home in Otsego on Saturday, February 10, 2007, at 11:00 A.M., Rev. Fr. Donald P. Klingler officiating. Burial of his ashes will take place in July 2007 at Mount Olivet Cemetery, Kalamazoo. Contributions in Roger’s memory may be made to Wings of Hope Hospice or Knights of Columbus, Council 7796.